I saw the post uploaded by Maria Gonsalvez and got tempted so prepared this at once. · In a juicer or mixer, put all the ingredients and grind well and sieve with a mesh strainer. 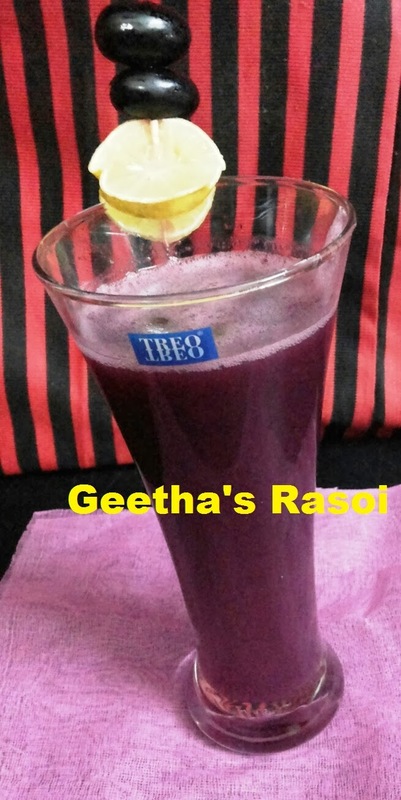 · Serve this juice into glasses with few ice cubes. · Garnish with grapes and lime slices.